“It just took off like lightning,” Jennifer Dorian says. The “it” in question is a Twitter meme that became all but ubiquitous when it spread across the platform in April, asking people to list the four films that defined them, and then to include the hashtag #Filmstruck4 and tag four friends. Seemingly everybody with an opinion on movies #Filmstruck4’ed. Barry Jenkins. Jessica Chastain. Rian Johnson. Vox’s own Genevieve Koski. It had everything you would want from a Twitter meme: It was easy to participate in, revealed something about your personality, and mostly avoided the major social and political arguments of the day. It made the often garbage-strewn hellscape that is Twitter in 2018 seem bearable for a brief moment. It was, of course, also a corporate branding opportunity, cooked up by the Filmstruck social media team in a bid to raise awareness for the service, a sort of streaming version of Turner Classic Movies that currently boasts the streaming rights to the very hoity-toity Criterion Collection and the massive Warner Instant Archive — but which also has a minuscule marketing budget compared to the Netflixes of the world. To Dorian and her team, it succeeded beyond their wildest dreams, drawing attention both to Filmstruck and to the wider TCM world as a whole. Sure, there was criticism here and there of Film Twitter falling so thoroughly for what was, ultimately, a marketing ploy. That criticism was fair, especially in an era when movie fans are encouraged to become fans not just of movies but of specific movie-related #brands. And yet #Filmstruck4 also provided a window into a way classic movies, increasingly overlooked by the big three streaming services (Netflix, Hulu, and Amazon), have proved resilient in the face of so much #content. Social media might be tearing us apart when it comes to questions of politics, social progress, and superhero movies, but boy, is it the right platform for people who just want to talk about classic movies. And TCM knows it, as does Criterion, its only real competition in the “popularization of classic film for mainstream audiences” space. Whether a fan community can be at once an organic social media-driven phenomenon and a major part of a corporate entity’s future business plan will determine the future of not just classic film fandom but also services like Filmstruck itself. 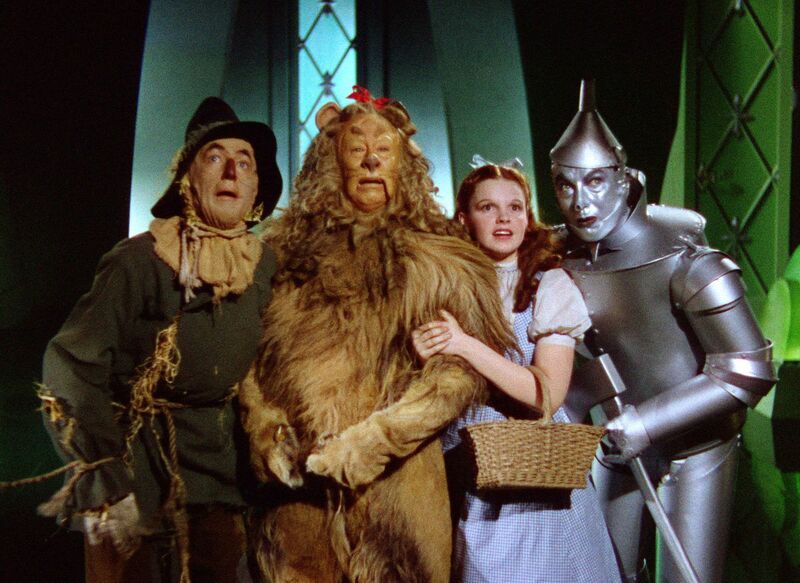 You could say that Twitter is a kind of Oz, and we are all Dorothy, and … you know what? Forget this metaphor even happened. I just wanted to use a picture of a classic movie here. In 2016, around the time of Filmstruck’s launch, I wrote about classic movies’ ongoing struggle to find space to exist in a streaming world. And one of the most consistent arguments against that piece was that, sure, Netflix might not be where you go to find a classic movie to watch, but it wasn’t as if the internet were hindering classic movie fandom. If you were on Twitter or Tumblr, especially, there was a party just waiting for you to get there. Perhaps this feels incredibly obvious. Of course if there’s a specific topic you want to discuss in 2018, you can go on a social media platform to do so, in the way you might have gravitated toward a blog or message board 10 years ago. But where those platforms were characterized by a certain kind of dry, scholarly consideration, social media rewards those with a keen sense of visual flair, of aesthetic pizzazz. Thus, classic film social media discussion is somewhat like the larger world of “Film Twitter,” in that it’s primarily interested in discussing and arguing about movies, but it has an element of evangelism to it as well. These are movies you should care about, the discussion argues, and here’s how you can get started watching and learning about them. Where Film Twitter can descend into petty infighting at the drop of a hat, the classic film social media community is ready to throw a million recommendations at you until you might find something you like. And then you’re hooked. This is where TCM enters the picture. Dorian is quick to point out that the company didn’t start the popular hashtag #TCMParty — as far as I can tell, it began in September 2011 tied to a live tweet-along of the movie Guys and Dolls by a handful of classic film bloggers — but the hashtag has come to occupy a kind of centrality to classic film discussion on Twitter and even other platforms. (Here’s a Tumblr for it, for instance.) It’s a quick way to find others who love classic movies, as well as a good place for TCM to engage with its base. I certainly don’t want to make this relationship sound malicious, even if it involves people forming bonds with a corporation. The #TCMParty core audience is small enough — Dorian says TCM research has counted 30,000 unique participants in the hashtag — that the network can really get to know those viewers. And since TCM isn’t measured by Nielsen ratings (since it doesn’t show ads, it opts out of the numbers), paying attention to classic film discussions on social media is sometimes the best way to figure out who’s watching the channel. 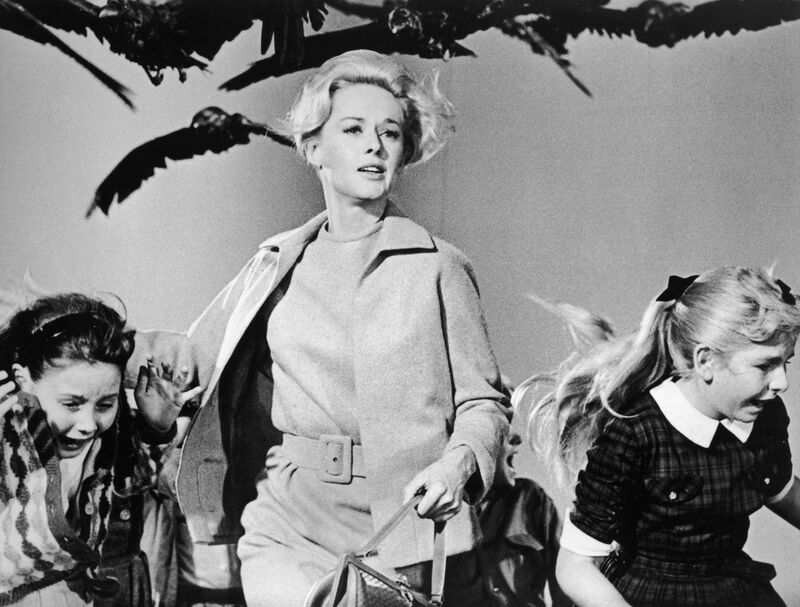 Alfred Hitchcock’s treatment of actress Tippi Hedren on the set of The Birds has long been held up as an example of powerful men abusing that power in Hollywood. That feeling of “homeyness” has also given Classic Film Twitter a leg up when it comes to discussing the serial predations of horrible men in Hollywood, a topic that has come to much more prominence in the past year. It’s prompted an unending conversation about separating art from artists. “Some of the defense of [troubling movies from the past] is, while incorrect, certainly human and understandable,” Mankiewicz says. “The threat is, all of a sudden I wake up one morning and [you] tell me that something I loved is now unlovable.” So how do we have that conversation without self-destructing? Tune in to the discussion around these topics on Classic Film Twitter and you’ll find a pretty common refrain: This has always been happening in Hollywood. And once you understand and accept that, you can draw a more complete picture of moguls and artists who might have created great films but still did horrible things, a more complete picture that can help you contextualize modern art made in similar circumstances. What sets the conversation on Classic Film Twitter apart is that it extends beyond simply questioning how to deal with figures from the past who might have done terrible things. It also touches on how older movies might have contributed to racist and sexist depictions of those who haven’t traditionally held power. And having these discussions in a friendly environment can help place films in a historical context, without arguing that historical context forgives or erases prejudice. Indeed, it can help viewers see how those films often maintained attitudes about sexism, especially, that stand out as very different from how we tend to believe the world was in the first half of the 20th century. Indeed, Fiore points to the 1933 film The Story of Temple Drake as a strikingly modern story of a woman forced into a series of tough decisions, where she has no good options, after being raped by a gangster. It might not be as blatant in its depiction of what happens as a modern film would be, but it’s unmistakable that Temple is raped and has her life destroyed. The movie caused a huge scandal in its day and was largely unavailable for decades — but it still exists, and if you were to stumble upon it playing on TCM some night, and wanted to talk about it, the #TCMParty folks would be waiting for you. Classic film social media discussion, unlike the stereotype of online film discourse writing off older movies that contain eyebrow-raising elements as “problematic,” allows for deeper-than-average conversations among groups of like-minded fans. Those who aren’t as well-versed in the history of cinema get a thorough exploration of these topics, while others get the opportunity to engage in a conversation that tackles big topics without turning nasty. Ben Mankiewicz poses with a fan at the 2018 TCM Film Festival. When I shadowed Mankiewicz at the 2018 Turner Classic Movies Film Festival, he was greeted with wild excitement almost everywhere he went. Even when he was standing at a stoplight, waiting to cross Hollywood Boulevard, somebody asked him for a photograph. When we paused to talk to a group of older women waiting for their chance to “introduce” a classic film on camera at a display set up to allow people to play-act as TCM hosts, they were eager to practice their pitches for him. He offered pointers, and they soaked them up. This is, in some ways, the function of the festival as much as anything else — it becomes a way for the classic film faithful to gather in a place that temporarily transforms a virtual community, built either online or around a TV network, into a real one, for a few days every spring. Little about it feels crass or overcommercialized in the way you might expect a film festival founded by a TV network to be. It’s heartening to see people who mostly talk online get together in person to talk about the movies they love. And the audiences that attend the festival aren’t as old as you might expect. There are plenty of people in their 70s and 80s, but there are almost as many in their 20s and 30s, and many of them are racing into movies made 70 or 80 years before they were born, enjoying silent films with a live organist, or laughing along with some screwball comedy that was buried in a studio vault for decades. The festival is reliably one of my favorite pop culture events of the year, because something about it still feels pure, driven not by brand loyalty but by love for the movies as a concept. And while the average age of classic film fans still skews older than that of other pop culture spheres — Dorian says most people tend to become more attracted to classic movies in their 50s — TCM has noticed an increase in younger viewers and festival attendees over the past decade, which would roughly coincide with the rise of social media. Not everybody at the festival is joining the online conversation, but enough people are. She likens it to something she read in the book Sapiens, by Yuval Noah Harari. Harari postulates that as we move forward into this digital age, we’re only further splitting ourselves up into digital tribes that share the same niche interests. We evolved to live in small communities that we rarely left, but hundreds of years of modernization and industrialization have changed that pattern. And now the internet is drawing us back to that way of life. In the world of politics, we’ve seen how this can be destructive, but there are places where finding your people can still provide a thrill of recognition. Hang out on Twitter long enough and you’ll find more people like you. Maybe you’ll even start a hashtag, and maybe that will lead to something more, like seeing all your new friends in a Los Angeles multiplex every year. Yes, there’s an element of crass commercialism to it — but these are, after all, the movies. Crass commercialism has always been baked in.